Door entry systems control who enters your business premises, most systems have Audio facility as well as keypad entry from single codes to multiple codes, the system on the right is the system that would be used in most applications, you can have a single or multiple door entry station, the keypad can control single or multiple codes, you can also incorporate a trade entry timer for when the Postman or any other deliveries are due the 7 day timer can be programmed so that each day can have a seperate opening time. 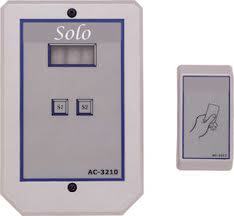 Single door controllers are also a very common means of a door entry system, with this system you will need a proximity reader and once installed you can then add tags or cards ranging from a single card to 10,000 users depending on your requirements, you can also connect various types of locking devices such as Mag Locks, Door Strikes and can also be connected to Gate Automation systems and traffic barriers. Video Door Entry systems are also a very common on blocks of flats and apartments, they allow the end user to see who is at the door before they allow any body into the building these systems have proved very popular with the elderly and gives them comfort that they can see who is at any entrance door before allowing entry, these systems are available in colour or monochrome, they can also have a built in alarm which you can sound and also can have a SD card installed so when the caller pushes the call button the system will take a picture of the visitor which will be time and date stamped. 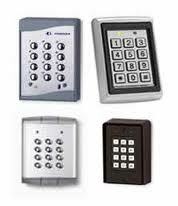 Door entry keypads are also a very good form of door entry, these keypads range from a single code to multiple user codes, they can also have built in relays ranging up to 3 relays and you can have seperate codes, so to give you an idea you can have a single code to allow you to gain access to a main door or a side gate, the second relay can have a seperate code to switch on a different devices such as lights, automated equipment such as automated gates, garage doors any many other devices. 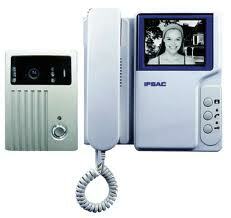 they are also available in Vandal Proof form as well as the internal range for internal doors.